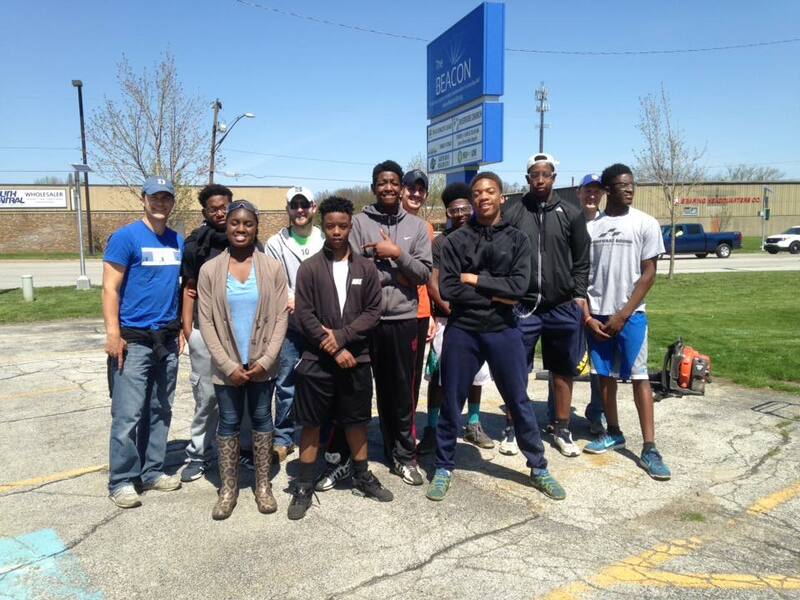 Greater Impact Lawn Care is a local business that seeks to teach the youth of South Bend how to work through meaningful employment opportunities. Greater Impact’s team outside The Beacon at the beginning of their 2016 season. Their services focus on commercial and residential lawn care maintenance which includes cutting, weed trimming, edging, landscaping, and clean-up projects. They are fully insured and have highly trained supervisors. For more information please call Kory at 574-383-9565 for a free quote!